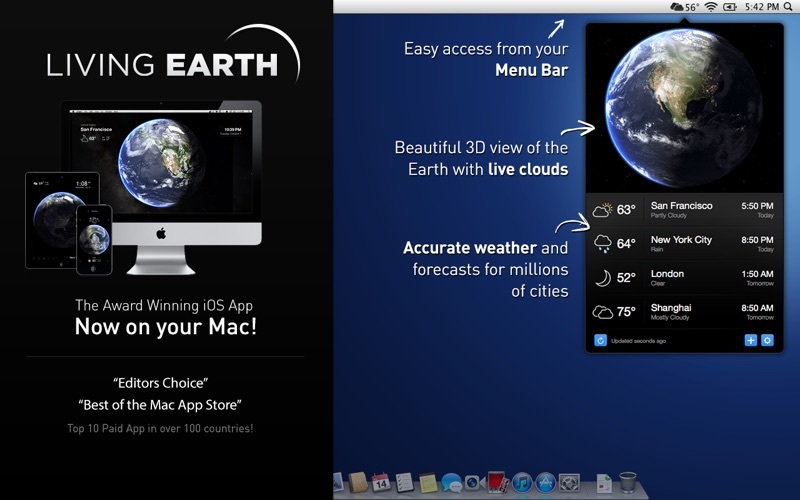 Featured in the Best of the Mac App Store. 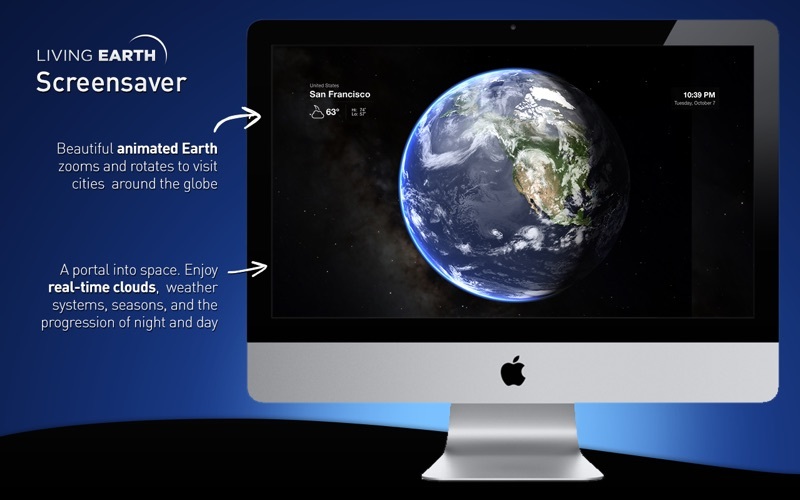 ● World clock and weather with a single click on the menu bar or customizable shortcut from anywhere in your Mac. 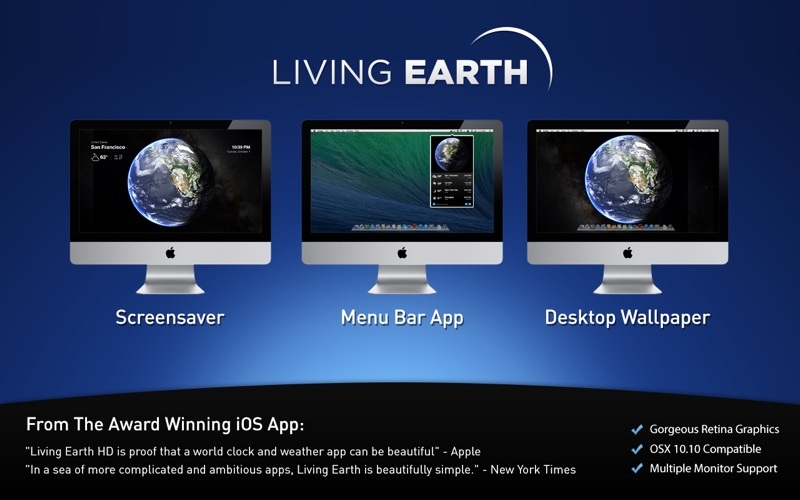 ● Live clouds from near real-time satellite cloud data - updated every 3 hours. View global cloud patterns, hurricanes and tropical storms around the world. ● Live Desktop wallpaper and screensaver. Updates continuously while you work. ● Observe sunrise and sunset borders around the world live as they are happening. Watch the day and night shadow line progress across the globe through the day. ● High resolution live 3D simulation. 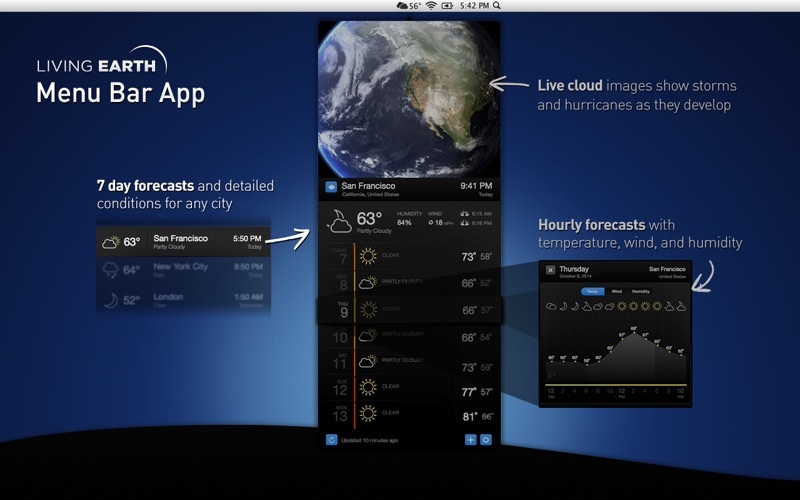 Enhanced for Retina display. - Center icon and temperature on menu bar for MacOS 10.12. - Increase text contrast and legibility. - Fix issues with connecting and disconnecting external displays.